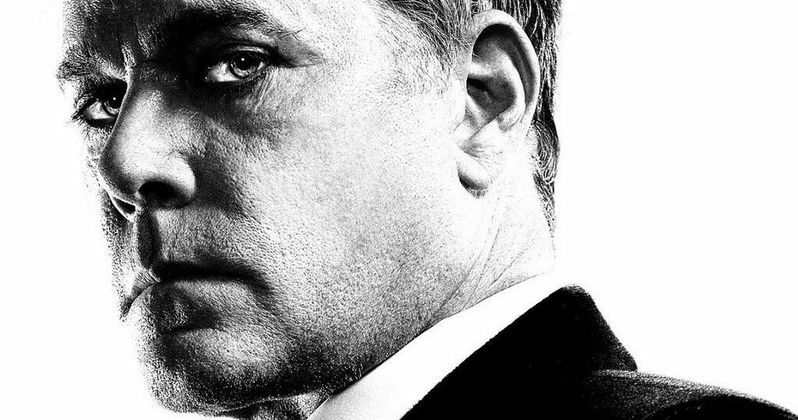 Dimension Films has unveiled four new clips from the highly-anticipated sequel Sin City: A Dame to Kill For, the first of which offers a new look at Ray Liotta's character Joey and Juno Temple's Sally. Just before Joey threatens to kill Sally, Dwight (Josh Brolin) drops in to save the day. The second clip shows Dwight's reunion with Old Town leader Gail (Rosario Dawson), while the third showcases "deadly little Miho" (Jamie Chung) in action. The fourth and final scene features Joseph Gordon-Levitt's Johnny disarming two low-level thugs while protecting his own "dame." Check out this slew of new footage, along with a new Ray Liotta charcter poster and another photo of Lady Gaga, before Robert Rodriguez and Frank Miller's sequel hits theaters August 22. Co-directors Robert Rodriguez and Frank Miller reunite to bring Miller's visually stunning "Sin City" graphic novels back to the screen in Sin City: A Dame to Kill For. Weaving together two of Miller's classic stories with new tales, the town's most hard boiled citizens cross paths with some of its more reviled inhabitants. Sin City: A Dame to Kill For is the follow up to Rodriguez and Miller's 2005 groundbreaking film, Frank Miller's Sin City.